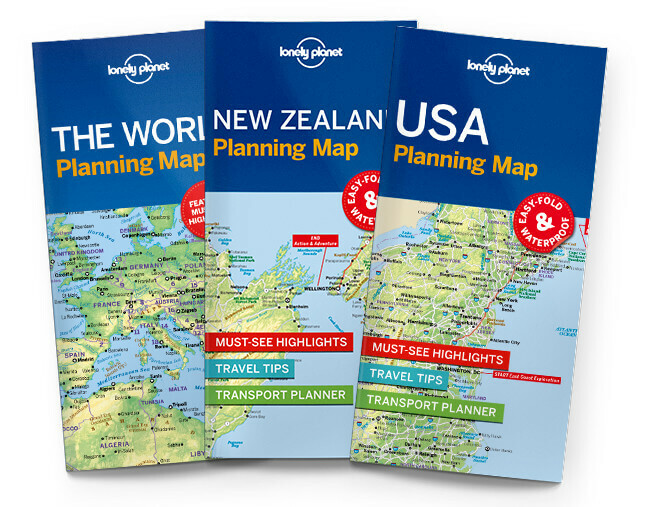 With an easy-fold, easy-to-use format, Lonely Planet World Planning Map, covering every country in the world, is your conveniently-sized passport to traveling the world with ease. Get more from your map and your travels with images and information about top attractions. Begin your journey now! Check out The World, Lonely Planet’s guidebook to every country on the planet, covering the world’s top sights and most authentic offbeat experiences.